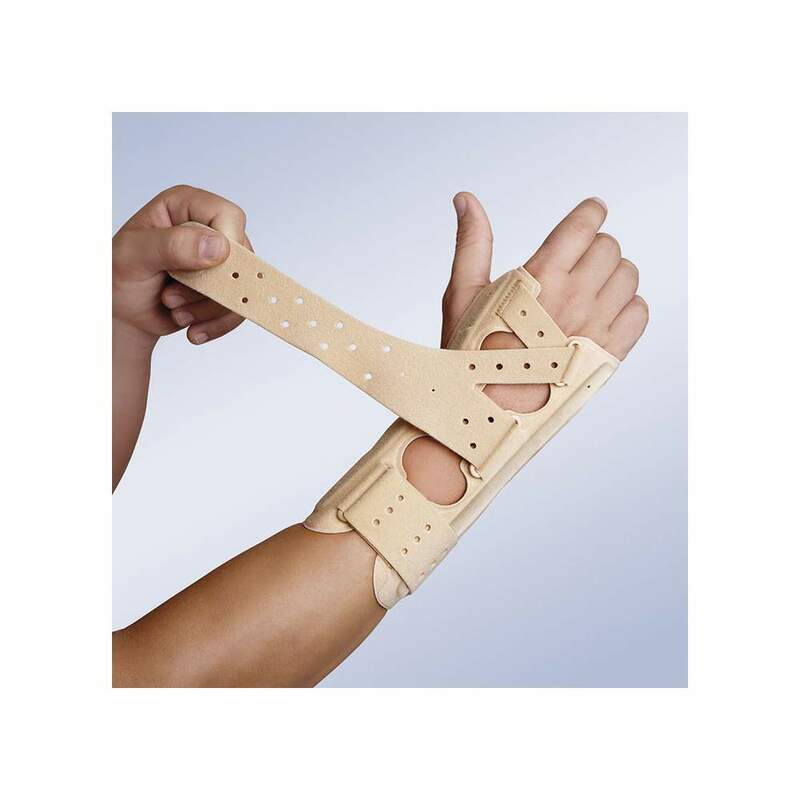 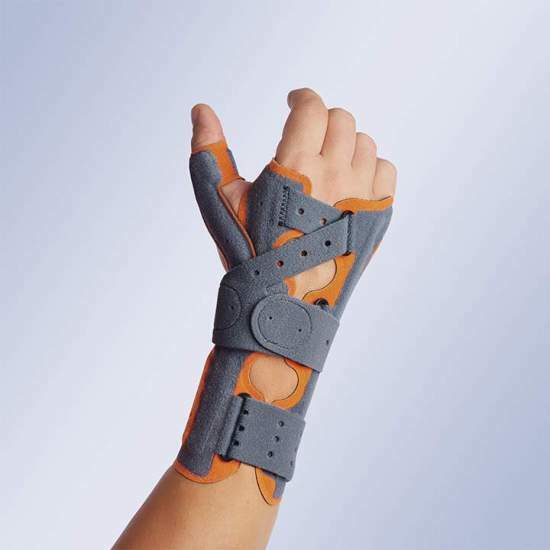 Wristlet made of breathable materials of last generation (three layer: foam, velor, foam) having triple immobilizer system in malleable aluminum palmar splint and medium-lateral plates thereby obtaining a better fit. 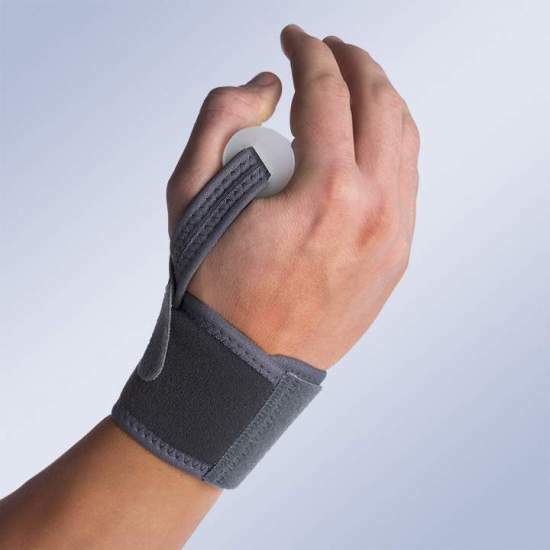 Sided design allows us to be adapted both to the left and right hand. 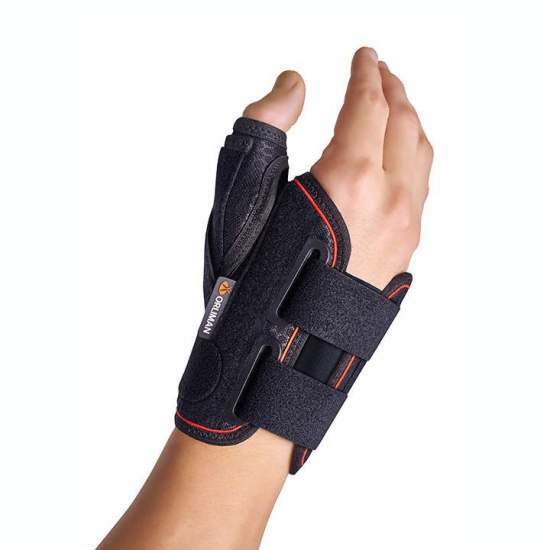 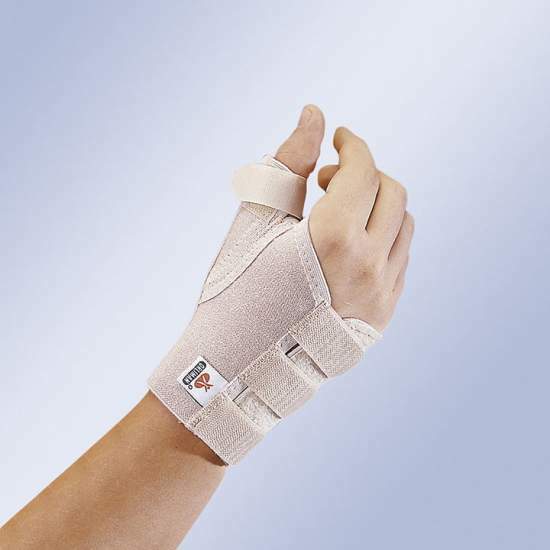 New closure system and strap adjustment composed forearm and wrist closure by design using a single strap allows adjustment of both the wrist and the hand. 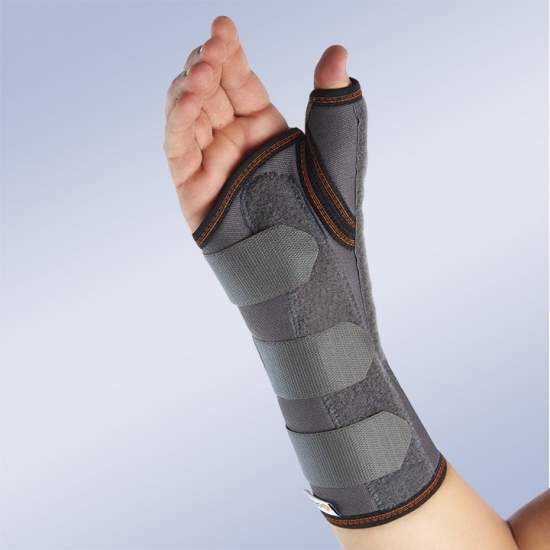 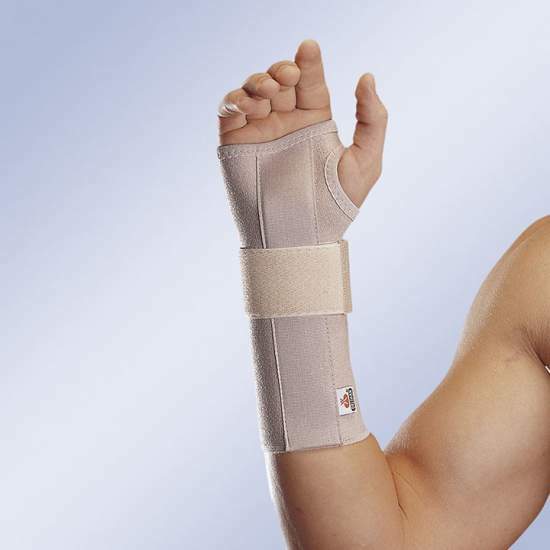 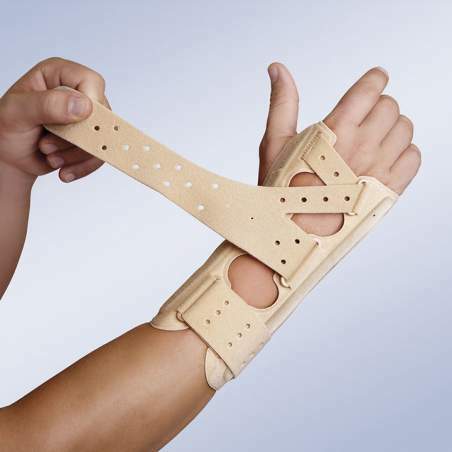 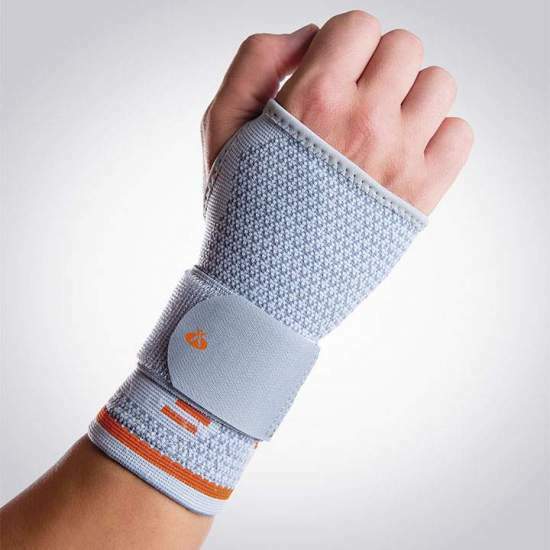 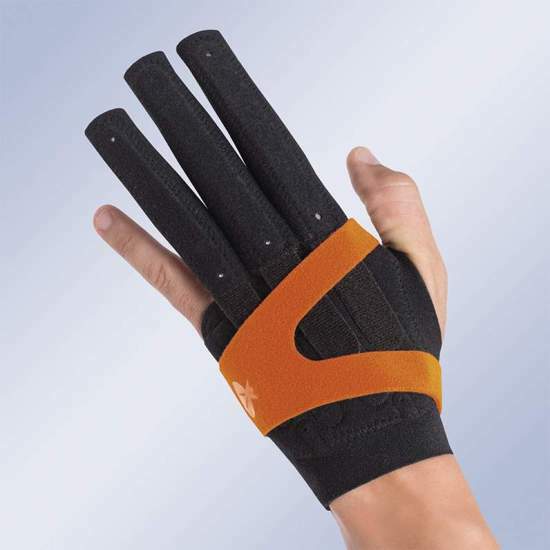 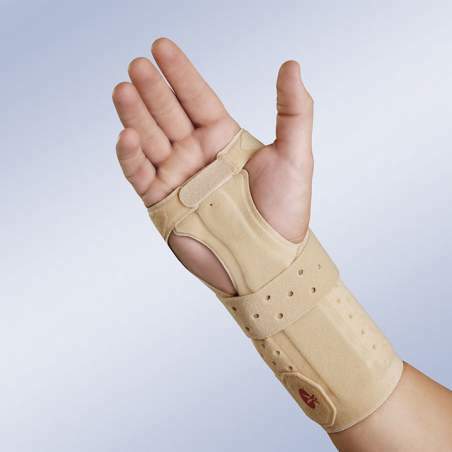 In the palmar area has double straps with Micro Hook system may well fit the width of the metacarpal area of ​​the hand. 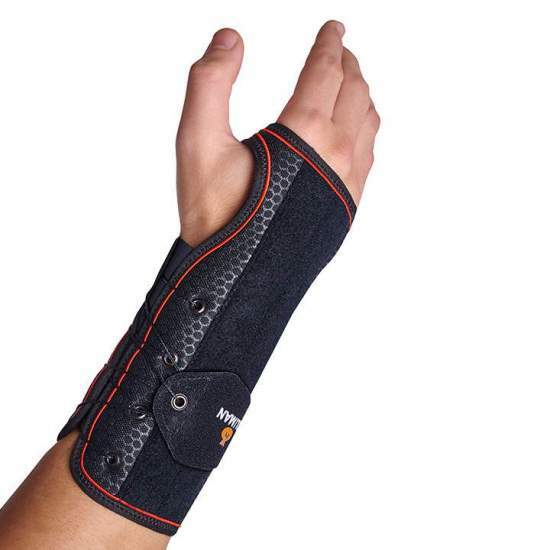 Holding and stabilization and immobilization. 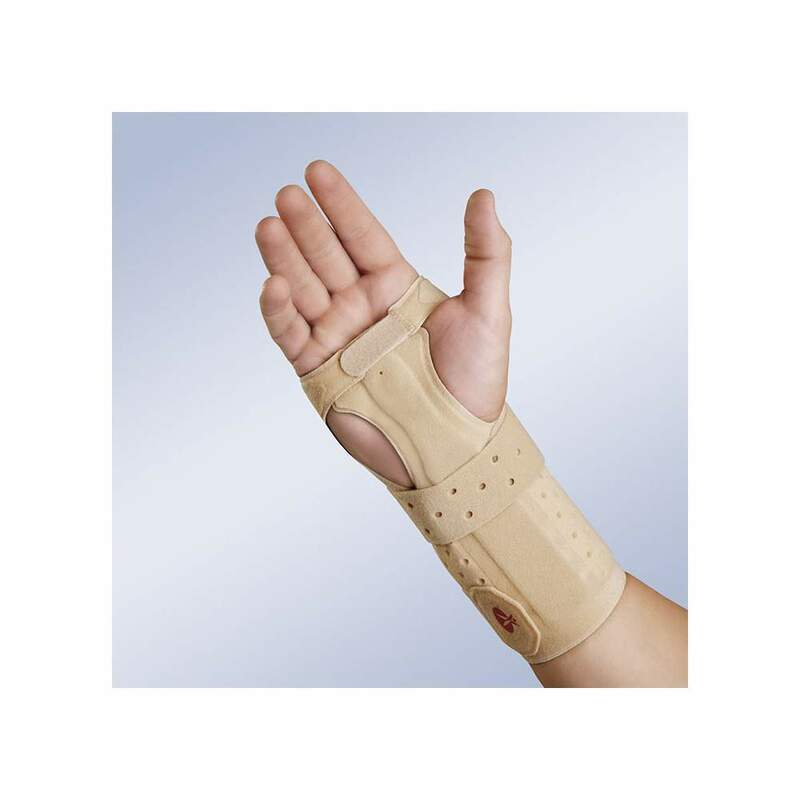 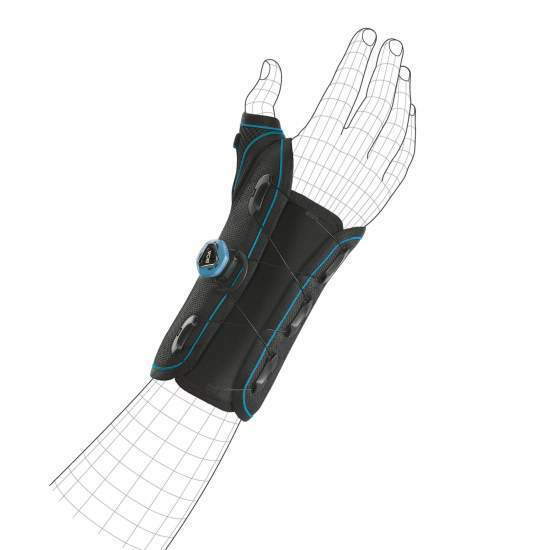 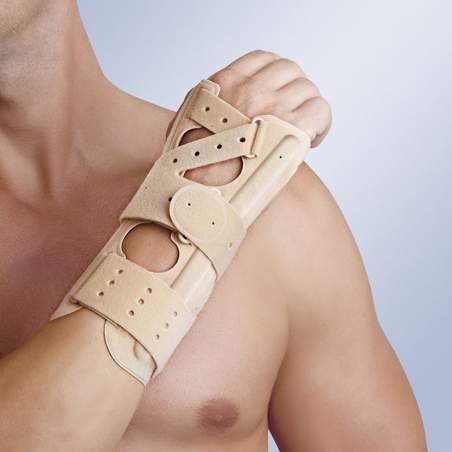 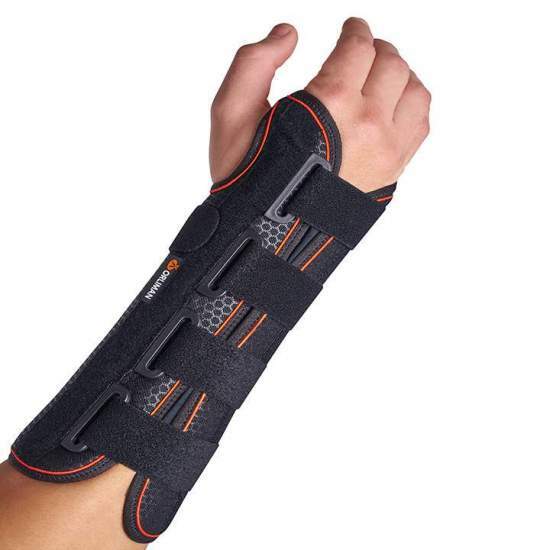 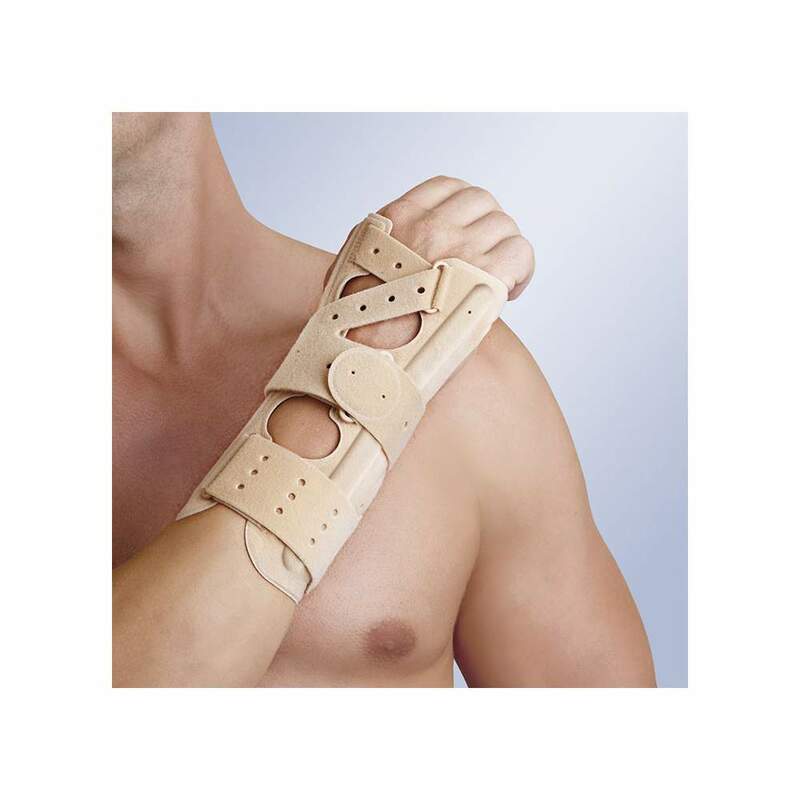 Immobilization of the wrist, post-traumatic, post-operative, painful and inflammatory sequelae, instability, rehabilitation.